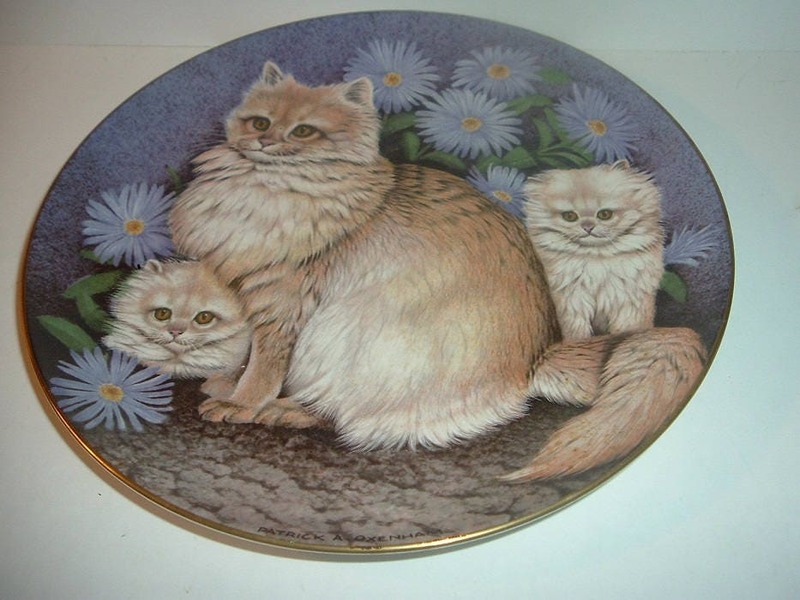 This Royal Stafford Long Haired Ladies plate measures approx. 8 3/8" across. 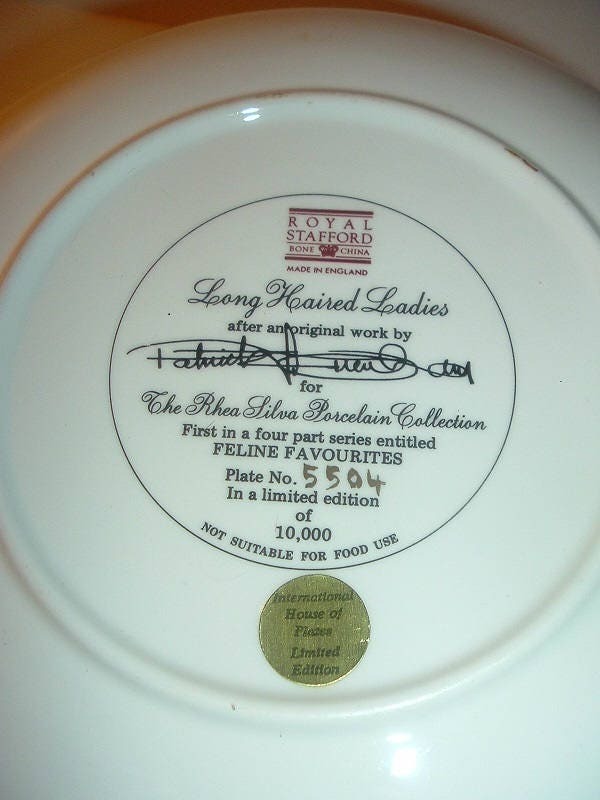 It is the first issue in the Feline Favourites series for The Rhea Silva Porcelain Collection, and is in excellent condition with no chips, no cracks, and no wear or scratching. I have no box or paperwork for this one. I gladly combine shipping.